With only 2 weeks to go until the M14 pre-release, and 3 weeks until a new metagame is upon us, you think I’d be done with deck ideas. However, that’s anything but the case. The current blocks of cards are so rich and full of depth that I think there are still dozens of ideas that haven’t even been tried. Next week I’ll start discussing the impact of M14 on the metagame (from the 170 cards that have already been spoiled), but until then humor me one last time. Let me share two decks with you that I think you might want to play. I know you’ve been thinking about this sort of deck in the back of you mind. Gruul isn’t about Emissaries and Boars. It’s about the wild. It’s about the beasts with the power to rend the skies with their breath and shatter the landscape with their footsteps. 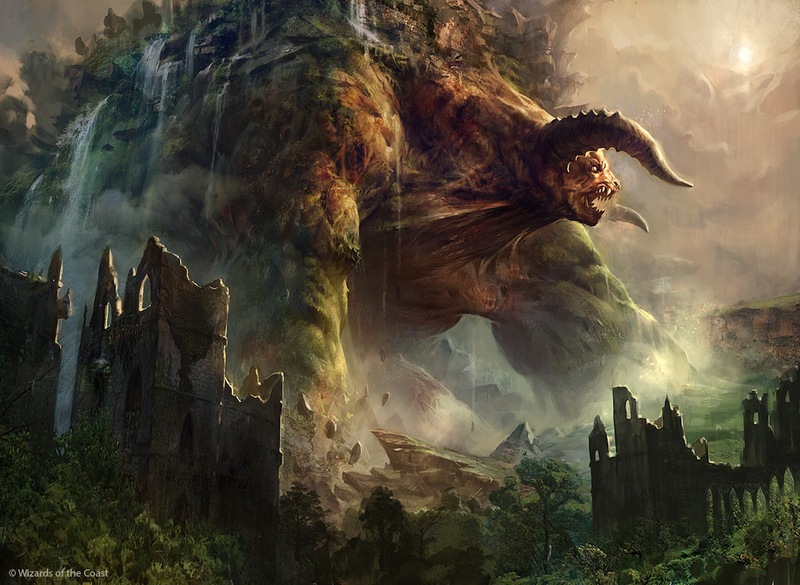 When you play Gruul, you should unleash the titans of Ravnica to reshape the plane. Dropping even one of these animals on your opponent can be absolutely devastating. This deck’s focus is to get out one of those beasts to to simply let it run wild. How do we do this quickly and effectively? Which encounter is going to leave you needing a new pair of underwear? Exactly. I know, in the back of your mind, that you’ve always wanted to unleash your inner Timmy (http://www.wizards.com/magic/magazine/article.aspx?x=mtgcom/daily/mr11b). 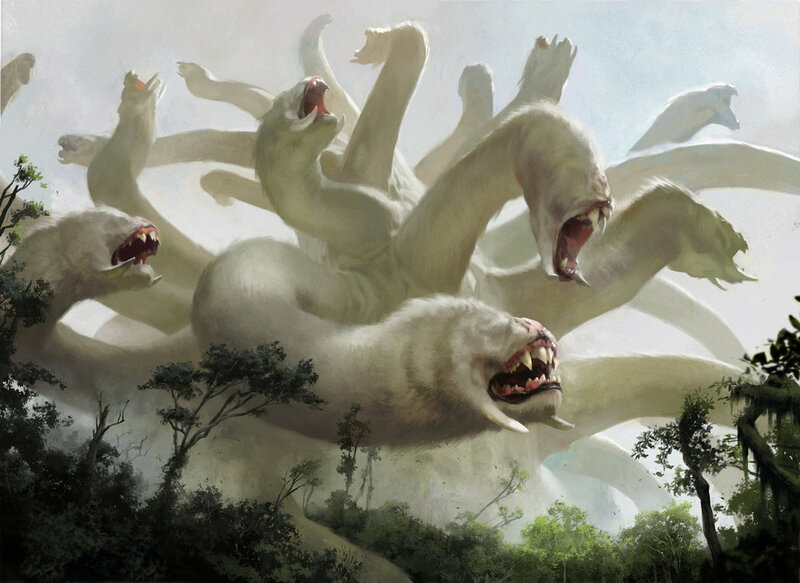 You’ve always wanted to play those massive creatures that could absolutely obliterate your opponent in one hit if they hit the table. There just hasn’t been a deck that has been playable with them as part of it. *Your inner Timmy shifts in his chair* Ohhh, a turn 3 7/5! A 5/3 Thragtusk? Pfft. A 4/4 Loxodon Smiter? Tiny . . . this guy automatically dwarfs anybody on the table. There is a draw back though. When he’s on the table, every land produces another color it was tapped for. If you tap a shockland for red, you get 2 red, and your opponent gets the benefit as well. Hmm, this could be bad on turn 4 for you *rolls eyes*. Your opponent could play an Olivia Voldaren, a Huntmaster of the Fells, a Thragtusk (if they had some kind of mana acceleration), or even a *gasp* Falkenrath Aristocrat! Oh no! So there is a small chance you take some damage the following turn. Big deal. In all likeliness, they’re going to leave this card alone because they want the benefit to the next turn. That’s where the problems set in for them. On turn 4, you untap and set down your 4th mana, and now you have 1 mana from the Gyre Sage, 2 Mana from the Elvish Archdruid, and your 4 mana can make 8 mana for a total of 11. If one of those mana is a Kessig Wolf Run, that’s an easy 15 damage on turn 4. That’s one possible path, but you can also overload a Mizzium Mortars on turn 4 easily and wipe the board and just attack with 11 straight out. With all this mana floating around, things just get out of hand. I’ve had up to 3 Zhur-Ta Ancients out in testing, each one adding an extra mana for each one tapped (4 would give you 5 mana for each land). Even without a Kessig Wolf Run to push the damage through, you can use the excess mana to cast ridiculously large Primordial Hydras and Savageborn Hydras. It also lets you ignite your opponents with Clan Defiance along with their strongest creature and a flier if they have one. If your “Timmy” isn’t jumping up and down in his seat now, I don’t know what will. This deck gives you huge creatures, incredibly powerful spells, and more than one way of winning the game unfairly before turn 6. There is one card I didn’t discuss too much, and that’s Huntmaster of the Fells. This deck needs life gain against all the aggro decks out there, even though you have Pillar of Flame to take care of Voice of Resurgence and Mizzium Mortars for everything else. I think Huntmaster is great since it gives you an extra blocker, but sometimes you do want more than the 2 life. I think Thragtusk is also possible in this spot, and if you want to go balls to the wall instead, you can just put in a Ghor-Clan Rampager (which works great with just about any card in this deck). The choice is yours, and it definitely depends on your local metagame. Another draw back of this deck is the sideboard. It’s hard to find something to deal with every threat in the metagame right now, and being a new deck it’s also hard to gauge all of its weaknesses. I have the Garruks for card draw and card search which could be useful in control match ups, as well as Ruric Thar, the Unbowed. There are Ground Seals for Reanimator and Pithing Needles to take care of Planeswalkers, Nephalia Drownyards, and AEtherlings. Electrickery should do well against mana creatures and spirit tokens alike, and the Elderscale Wurms for midrange/aggro match ups when you get outclassed and can’t handle all the damage. I also threw in Flesh//Blood as a last minute idea to help finish games quicker (attack for 7, then deal 7 more). It seems like it is a decent sideboard, but I can’t help but feel like it’s a bunch of random junk thrown together. Any comments or suggestions on fixing it would be more than welcome. Even if it’s just at a Friday Night Magic or a casual match, this deck won’t let you down. If you’ve ever wanted to win big, this is the deck to do it with. Here’s how I’d play a sample hand. Turn 5 – Drop Kessig Wolf Run, attack for 18. There are a number of possibilities, but this would be the most efficient. 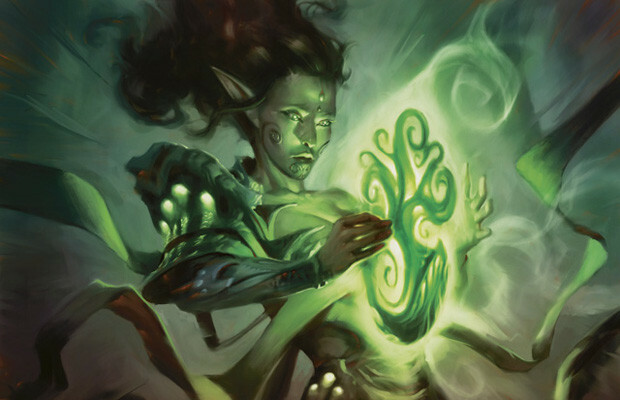 An opening hand with Arbor Elf, Elvish Archdruid, Zhur-Ta Ancient, Mizzium Mortars, and 3 mana (green and red) would be optimal. From there on out, if you draw any spell with X in it’s cost, you can hit your opponent for large swaths of life. As I said earlier, if you can think of any ways to make this deck even more ridiculous than it already is, please comment! I’d also love to hear any stories you have about this deck after using it as well. Thanks for sticking with me through the lull in articles. The M14 core set pre-release is less than two weeks away, and that means there will be tons more content coming your way. Starting after July 9th, “Play to Your Weaknesses” will be running, covering all of the cards in the limited format of M14. After that I will move on to “Bang for your Buck” and talk about which cards I think will go up in value after M14’s release. By August, I’ll be running my “Whole New World” series, which will cover what the metagame will become after rotation in October. There’s tons of great content coming your way so be sure to check back all summer. Until then, good luck and crush your opponents!